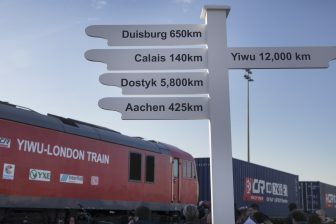 Dutch rail freight parties involved with rail transport between Europe and China ask the government to be more supportive of rail freight between the Netherlands and China. At the moment, several railway companies are active on the New Silk Road, while the government remains on the sideline. This was the conclusion of several speakers at the New Silk Road Conference, held in Tilburg, the Netherlands. 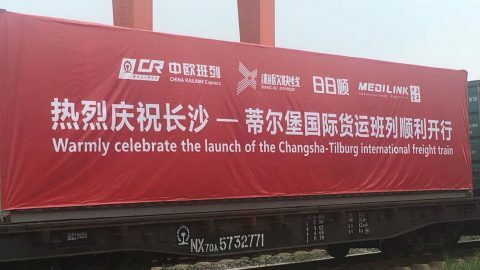 The Dutch city hosts a direct railway link with Chengdu, while another service to Changsha is currently tested. 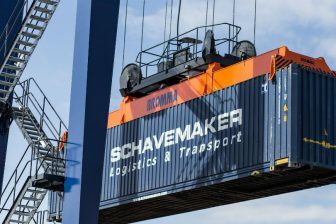 Rail freight to and from China is alive and kicking, but the government could do more to support companies, the sector believes. “Why isn’t there something like the Rhine-Alpine Corridor management for the New Silk Road?” wonders Roland Verbraak of GVT Logistics. According to him, there should be a platform where all the countries involved come together. “There is a platform where Poland, Russia, China and Kazakhstan participate, but the Netherlands is absent. The problem is that it is attended by state railway companies, and at the moment we do no longer have a public authority”. The Dutch infrastructure manager ProRail is a private organ, but will become a public organisation in the near future. 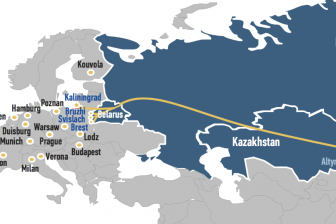 In general, west-European countries are hesitant to jump onboard the Eurasian train. The official position of the European Commission is that Europe must work with China, but taking into account and prioritising the TEN-T network, the core railway network of Europe. When doing business with China, European standards such as an open market economy and transparency should be pinpointed, the EU Commision explained at the same conference. A Dutch delegation visited China in April this year. Among the officials was State Secretary of Infrastructure and Water Stientje van Veldhoven, accompanied by 39 companies. The focus of her visit was sustainable mobility. On 8 October, NDL(Netherlands Distribution Country), the Port of Rotterdam Authority and Amsterdam Airport Schiphol traveled together with logistics-related organisations for an eight-day mission to China to promote Dutch logistics at various events. In Shenzhen, the Dutch logistics sector presented itself to Chinese shippers, logistics service providers and transporters, who search for supply chain solutions in Europe, including in the area of ​​E-commerce. In addition, seminars and matchmaking events were organized in Guangzhou and Chongqing. Accordingly, the Dutch logistics delegation wanted to make contacts here to further expand the role of the Netherlands for these logistics flows.